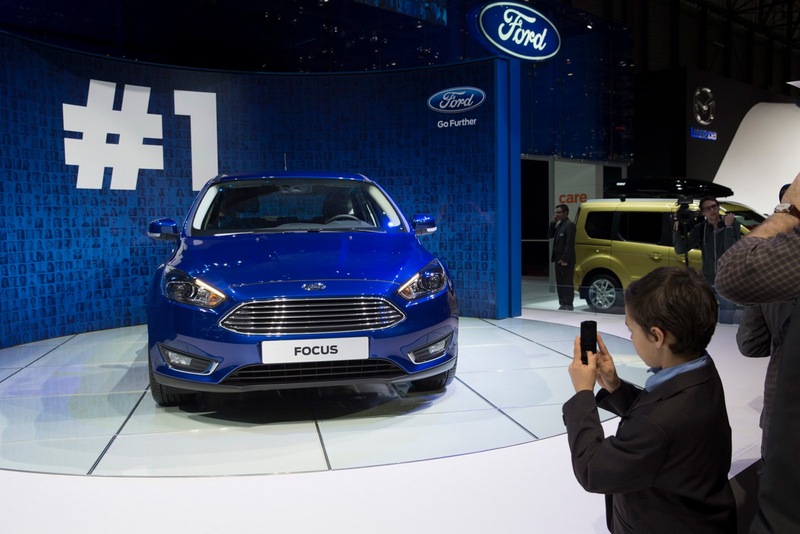 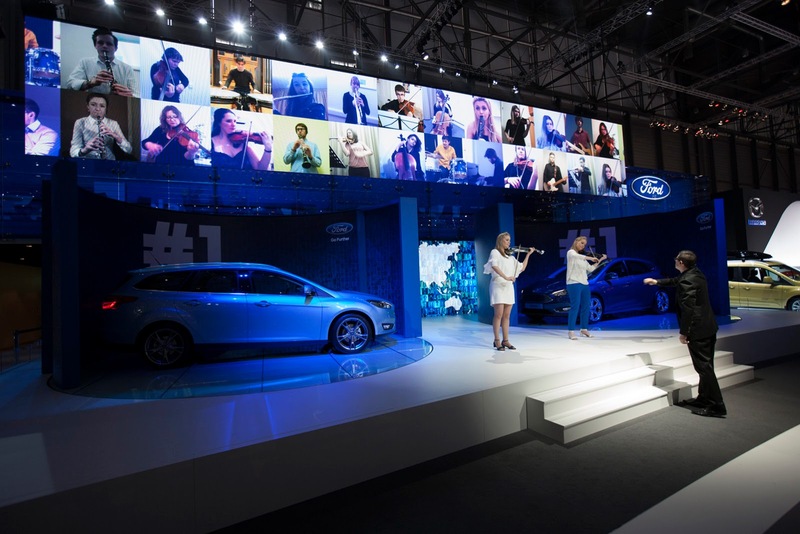 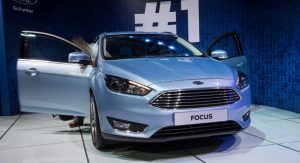 Ford seems to have nailed it with the facelift of its bread-and-butter compact car, the Focus, as most reactions to the car’s makeover have been positive. 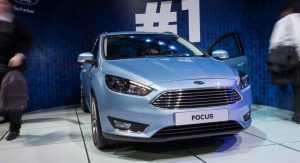 The adoption of the Aston-esque grille and of slimmer, elongated headlights appears to have worked, as these photos from the Geneva Motor Show prove. 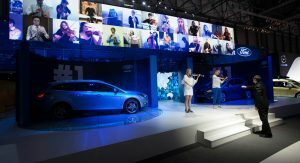 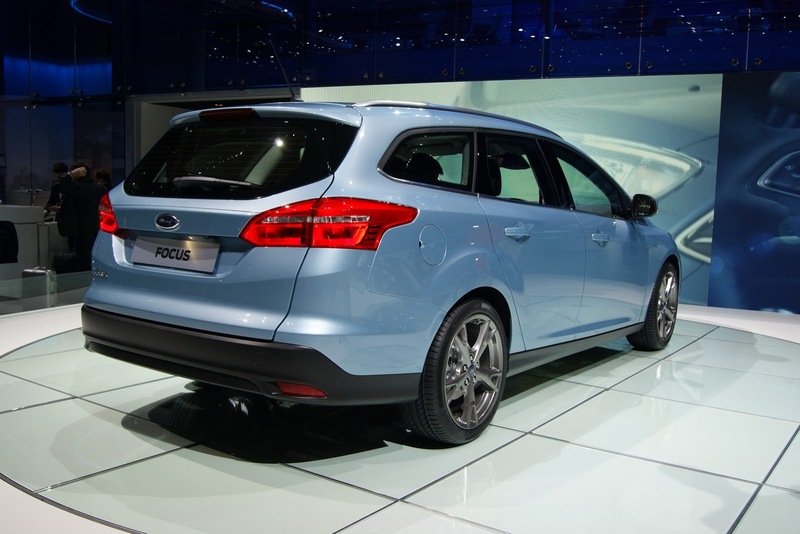 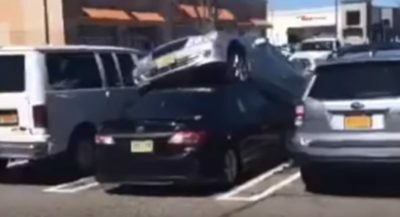 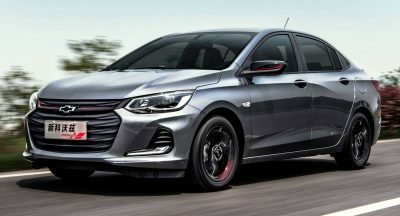 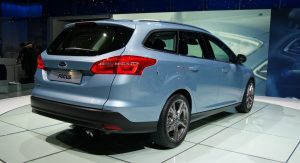 The Blue Oval has only displayed the five-door hatchback and the wagon in Switzerland, but the same treatment will be applied to the sedan as well. 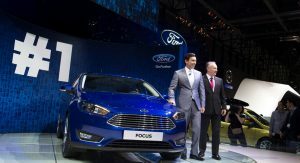 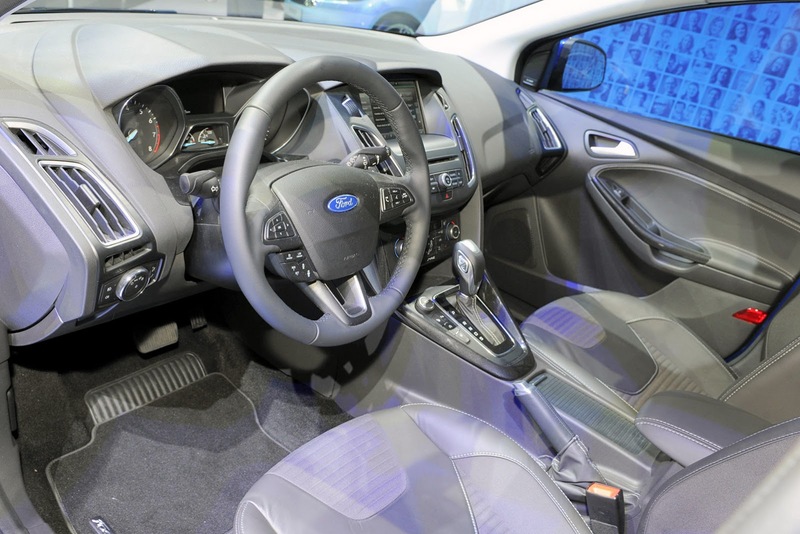 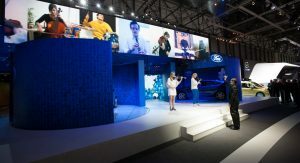 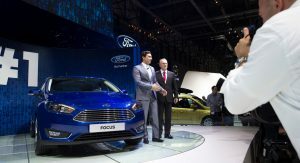 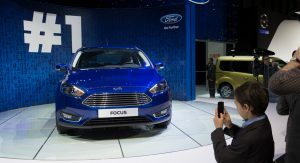 Changes have been made inside as well, with the facelifted Focus featuring a redesigned steering wheel and center stack that has fewer controls and switches, as well as a new SYNC 2 in-car connectivity system with a high-resolution 8-inch touch screen that features a cleaner interface. 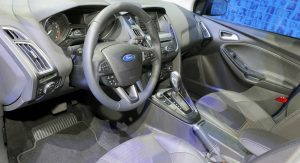 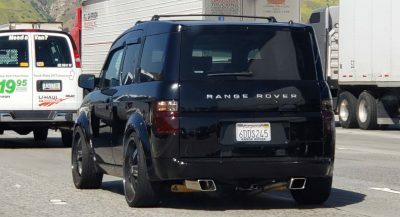 Other interior updates include a new and adjustable center storage console and a black satin trim and chrome detailing for the dashboard and door trims. 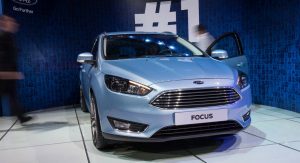 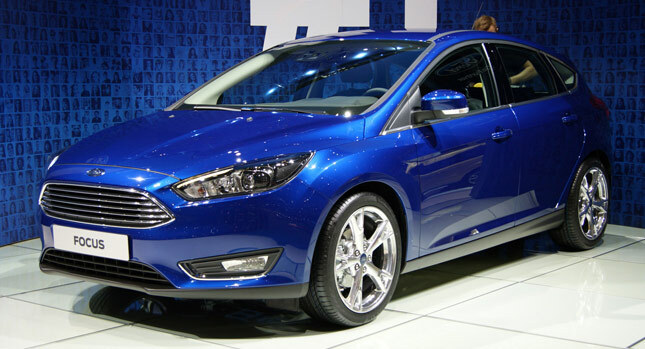 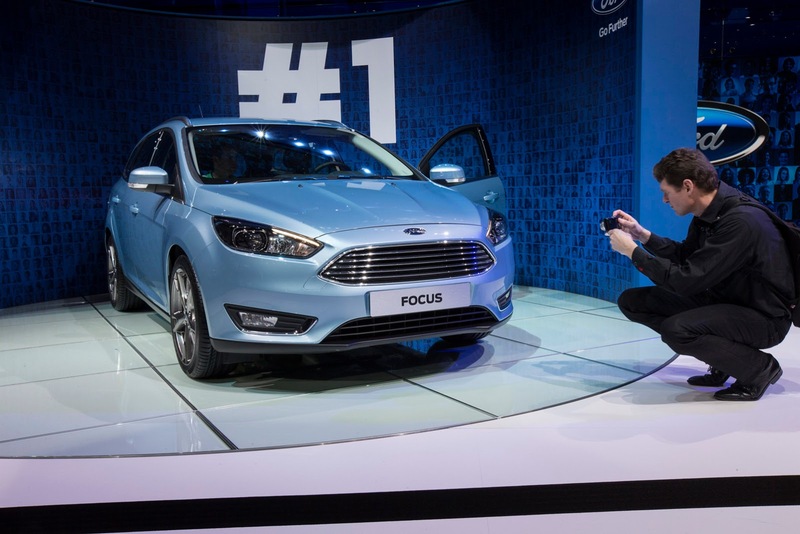 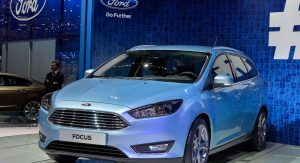 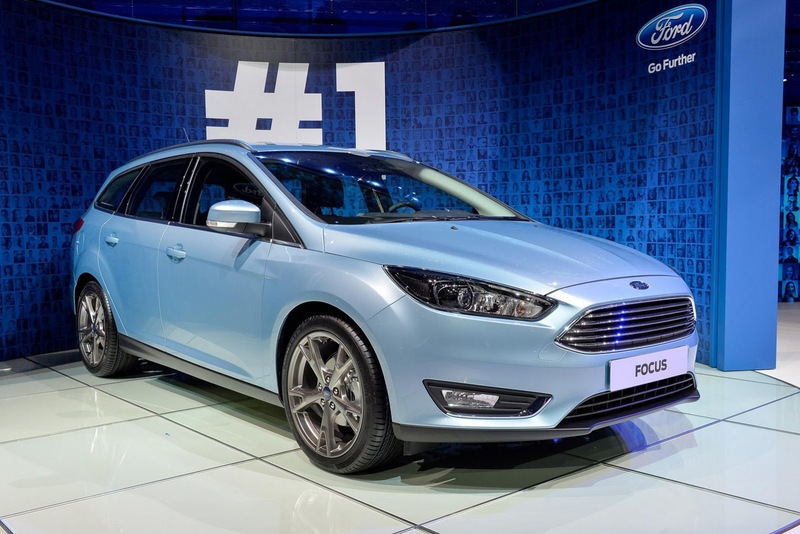 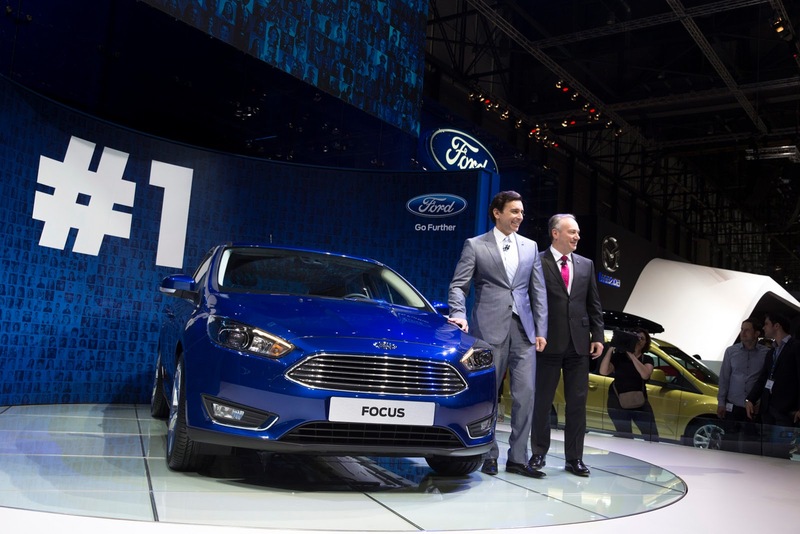 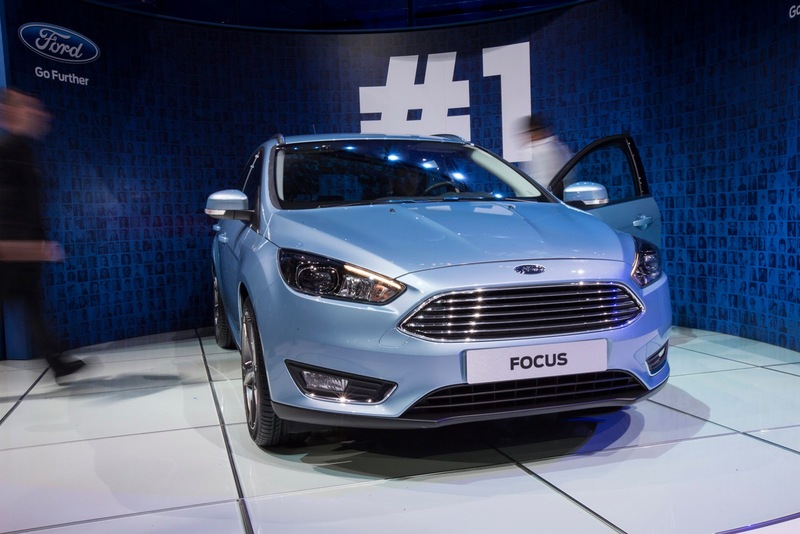 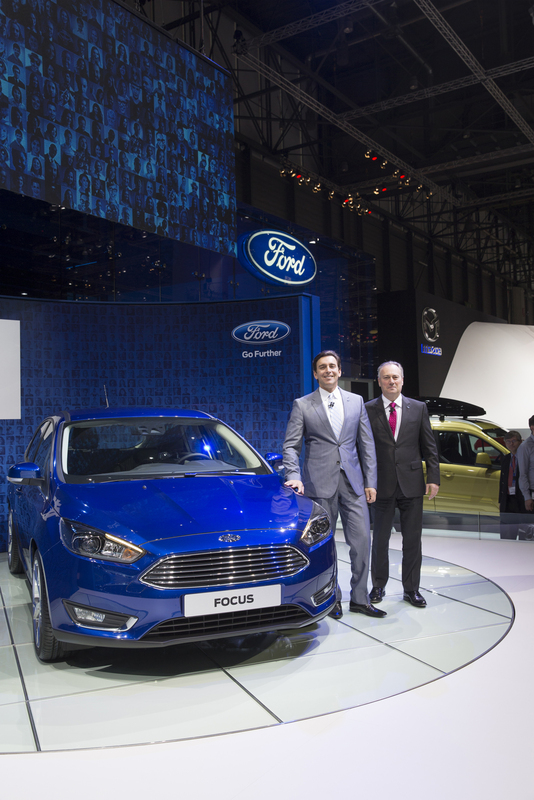 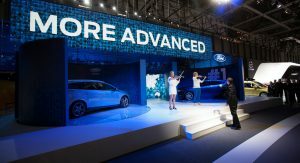 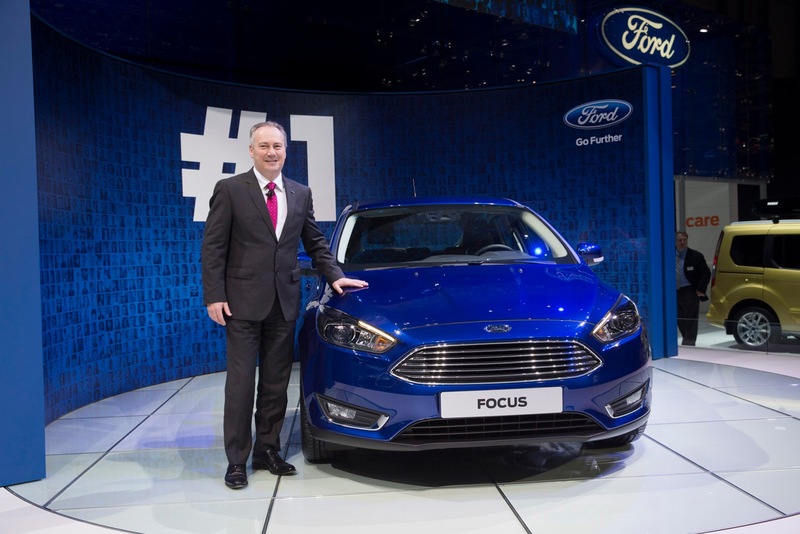 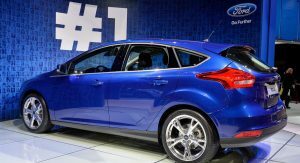 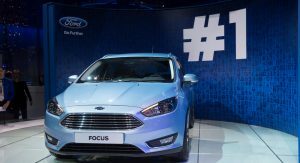 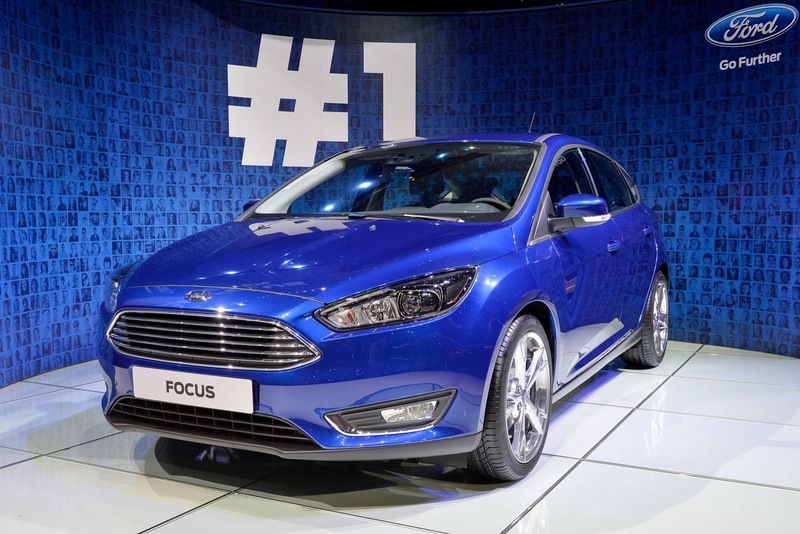 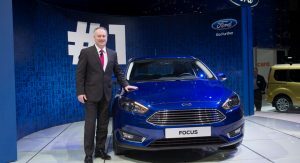 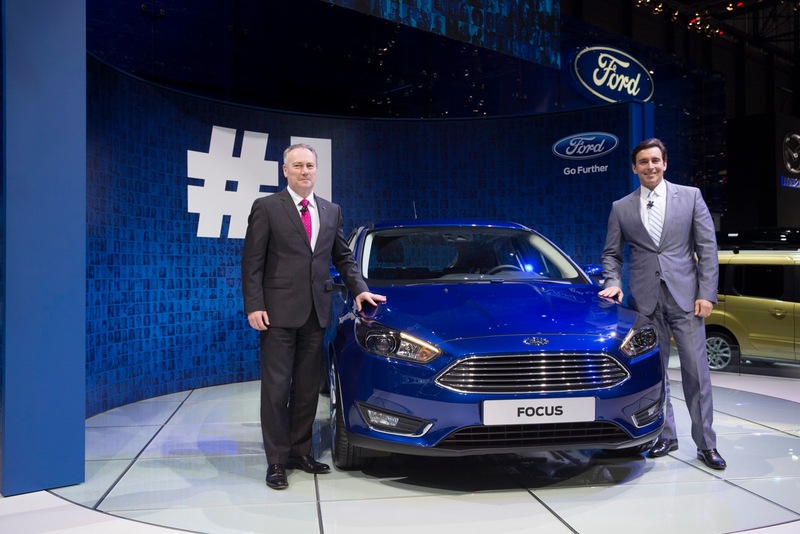 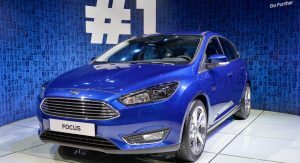 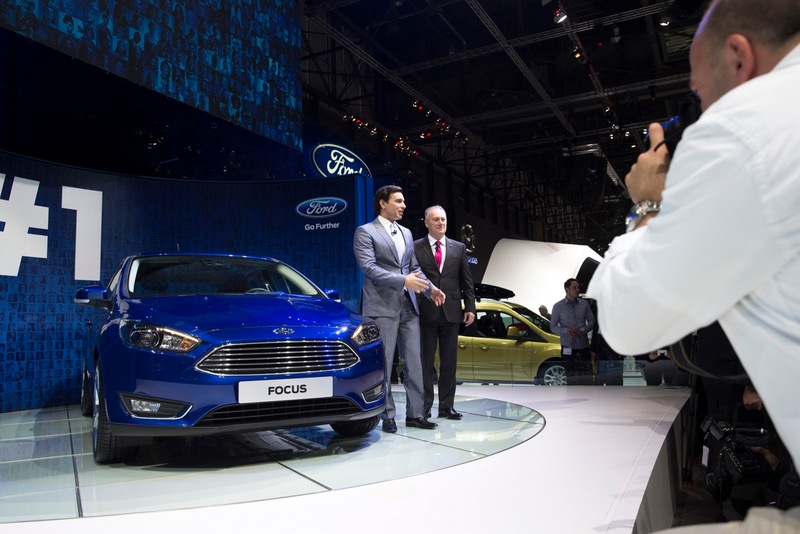 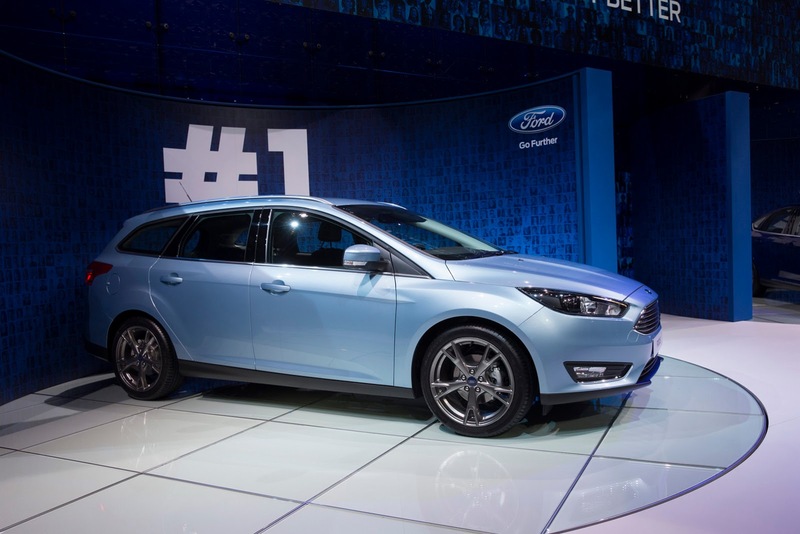 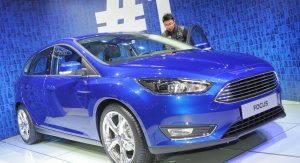 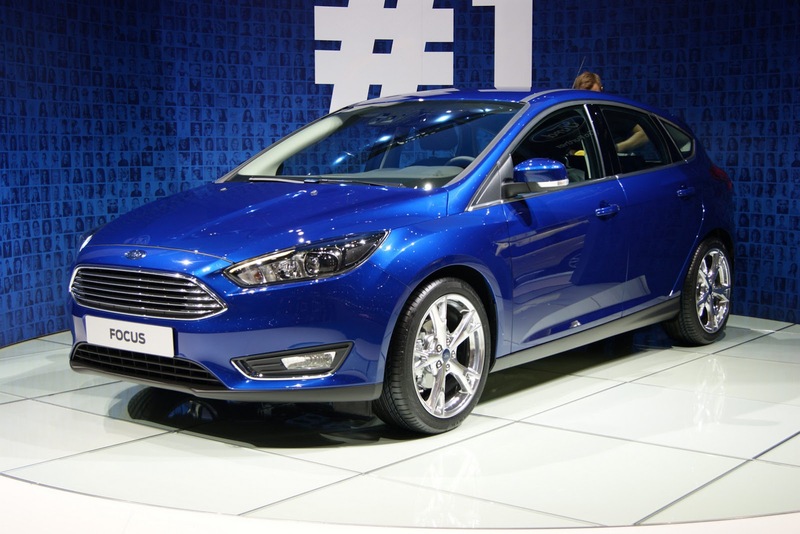 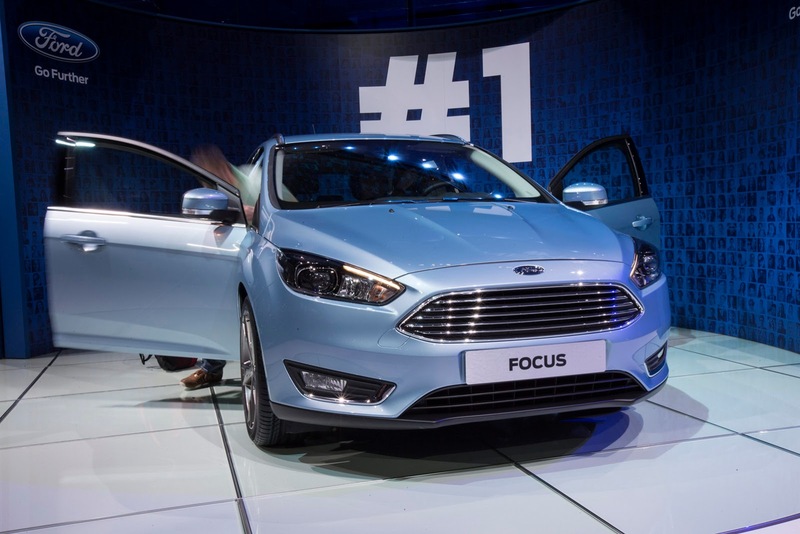 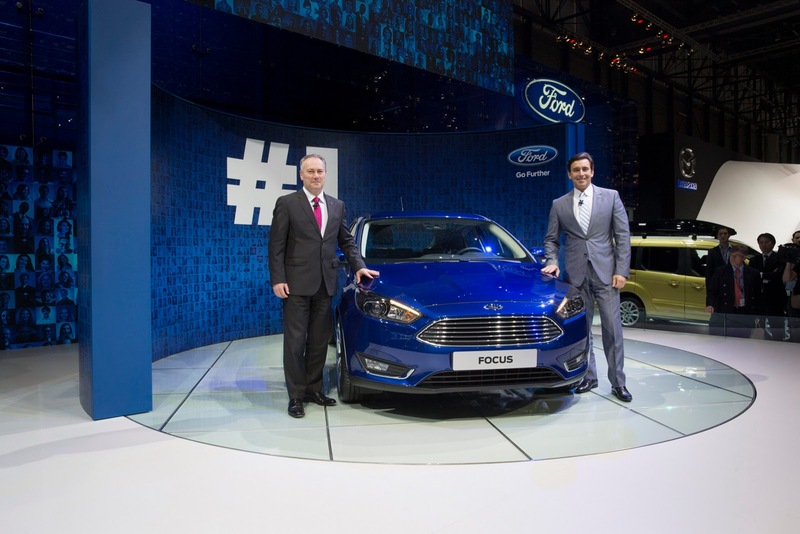 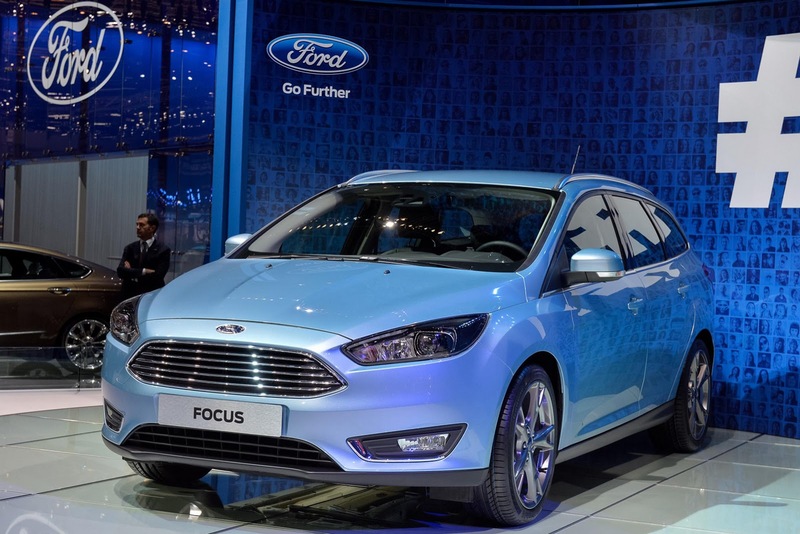 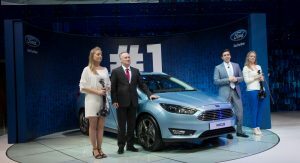 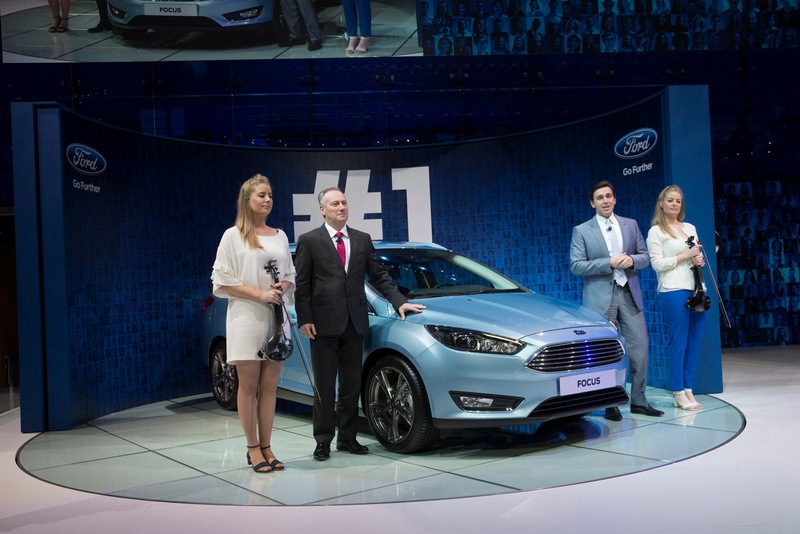 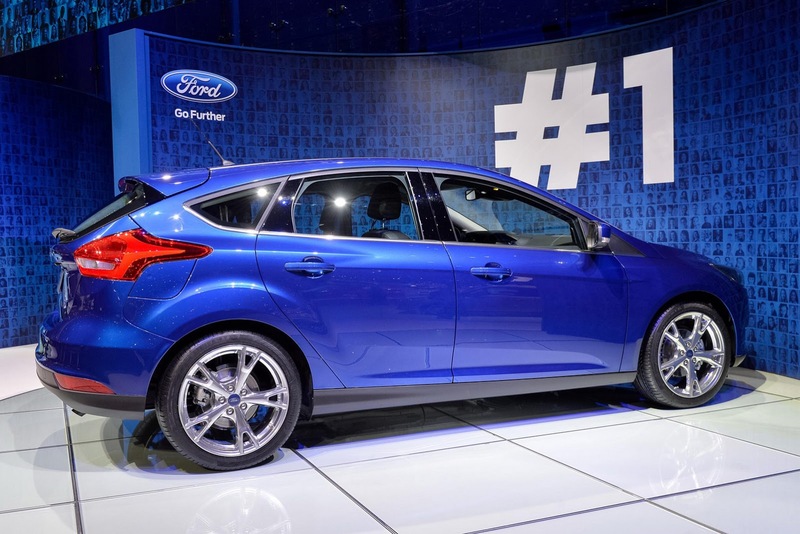 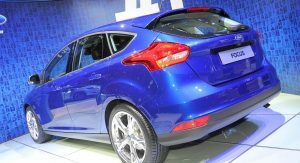 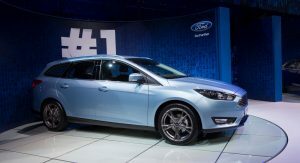 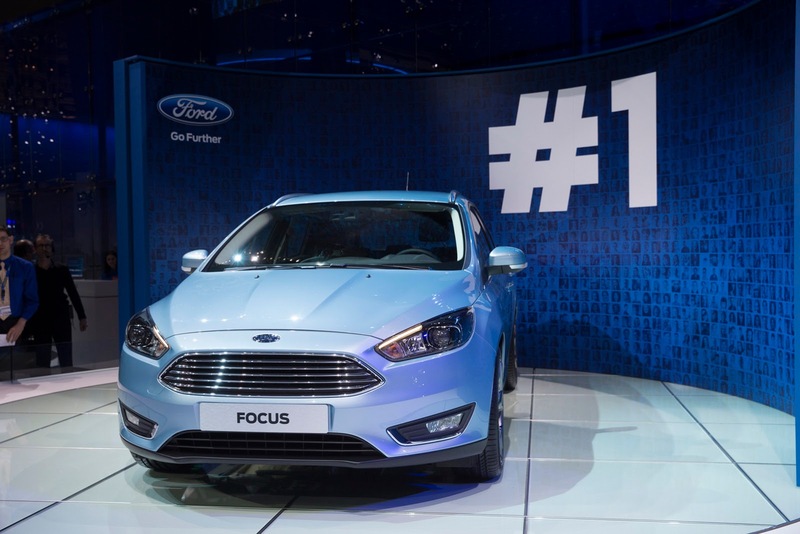 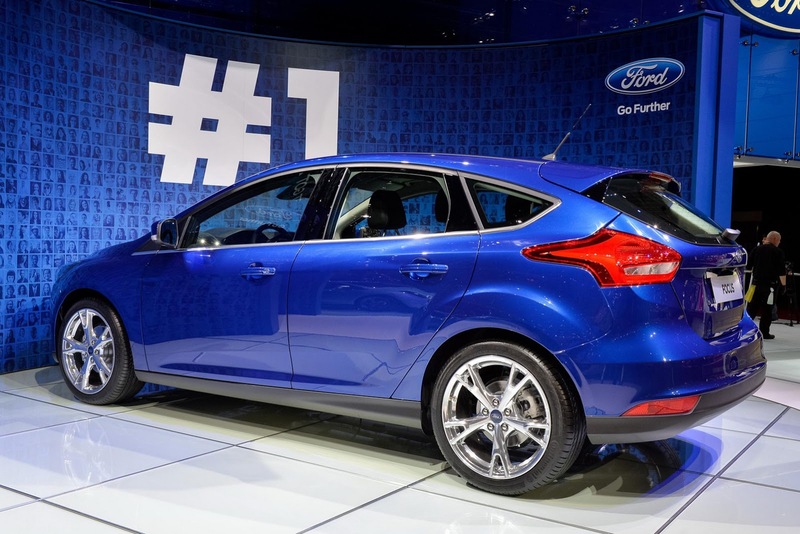 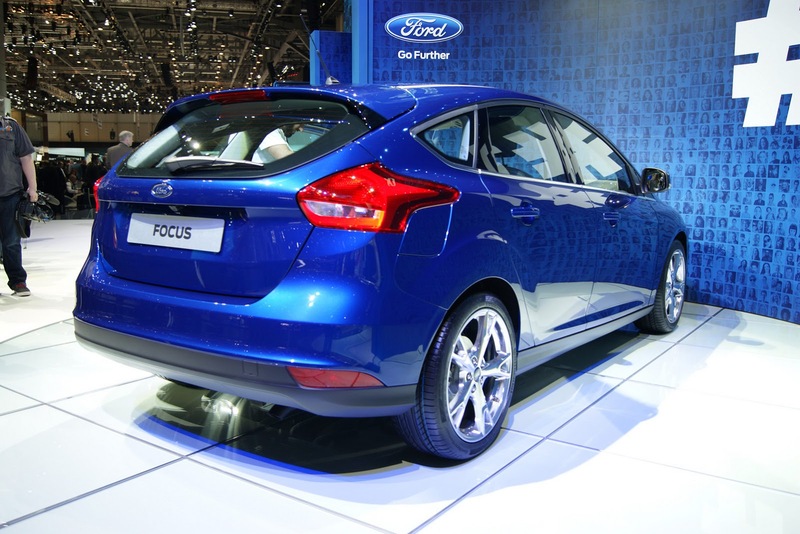 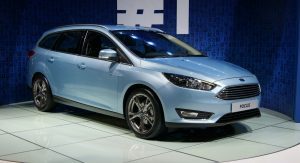 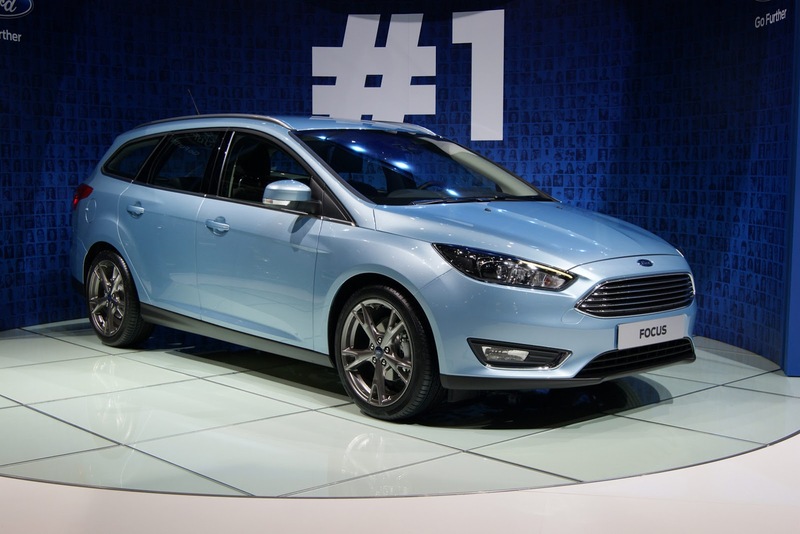 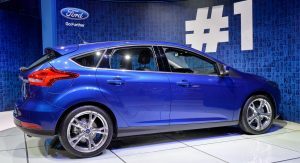 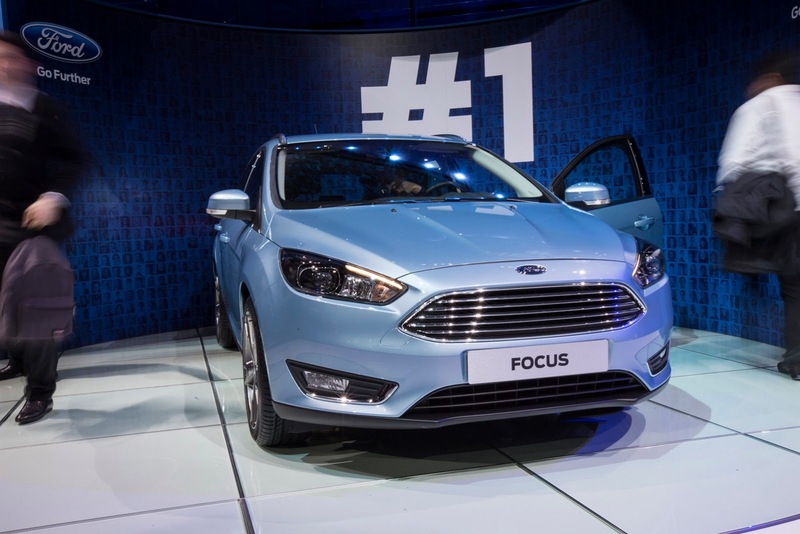 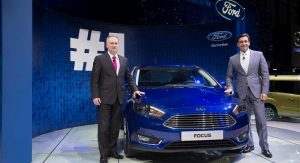 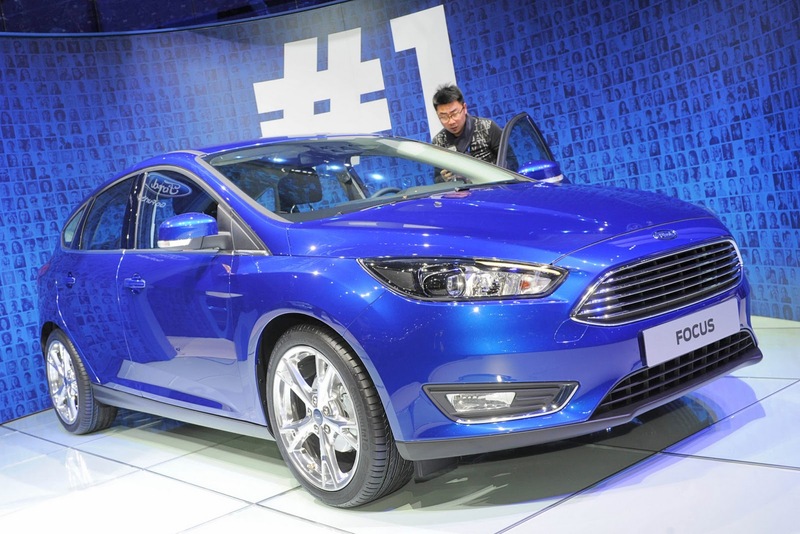 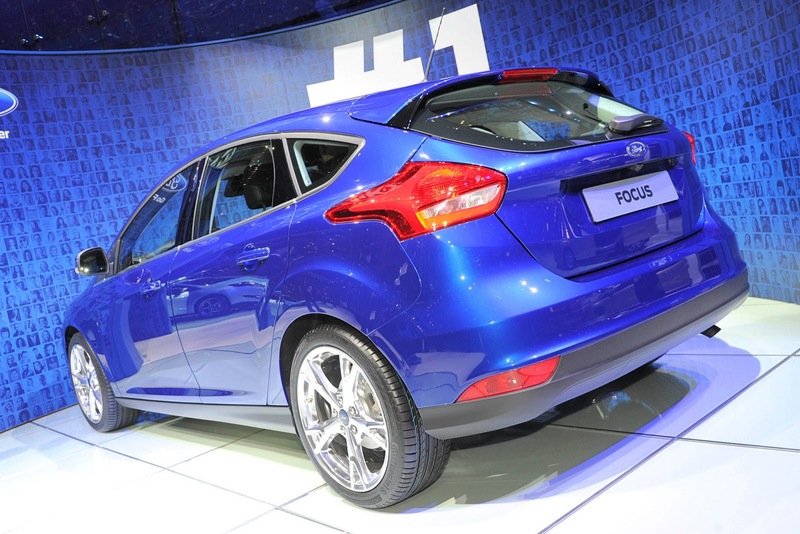 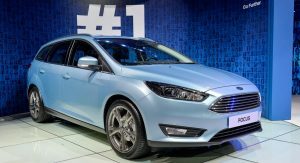 In Europe, the refreshed Ford Focus will be available with a new 1.5-liter EcoBoost turbocharged petrol engine, available in two states of tune: 150PS (148hp) and 180PS (178hp). 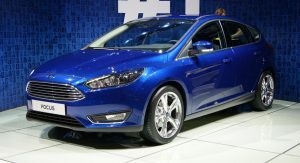 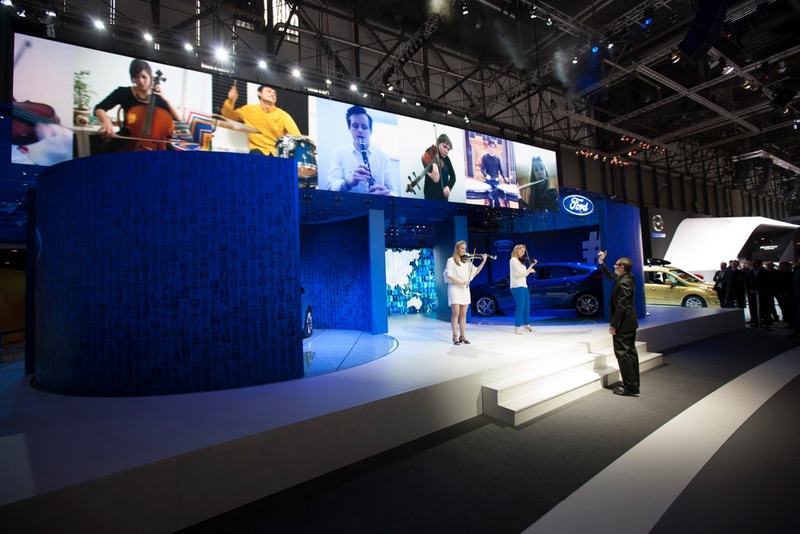 Ford will also offer the 1.5-liter TDCi diesel unit, also available in two outputs: 95PS (94hp) and 120PS (118hp). 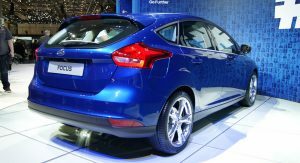 Diesel fans can also opt for the 2.0-liter TDCi producing 150PS (148hp), which is now up to 14 percent more economical than before. 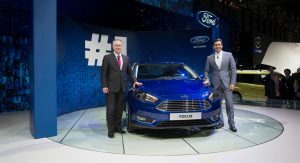 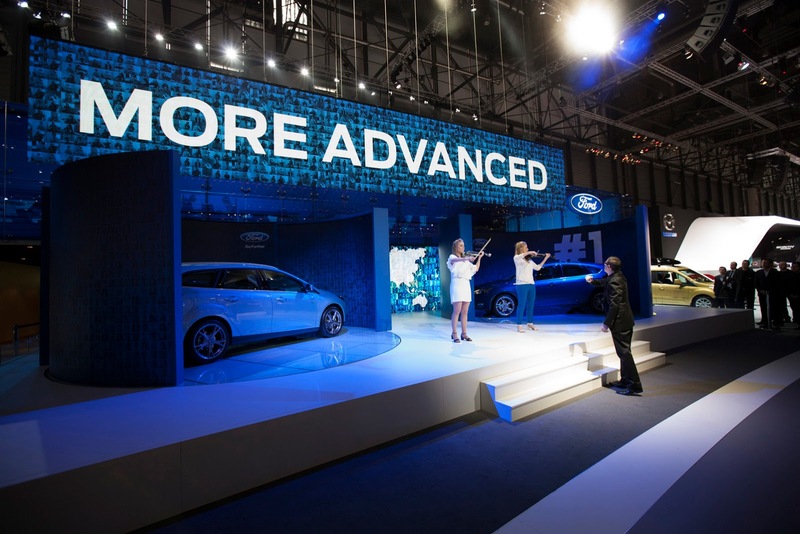 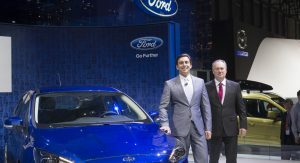 Besides these units, Ford says it will offer a new version of the 1.0-liter EcoBoost 3-cylinder unit that will be “the first non-hybrid petrol family car in Europe to offer sub-100 g/km CO2 emissions”. 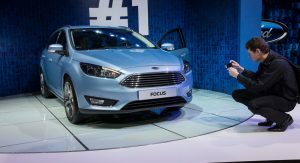 In the U.S., Ford will add a 1.0-liter 3-cylinder EcoBoost gasoline engine to the range, available exclusively with a six-speed manual gearbox.